Callis Rose is a girl blessed with a gift from above or cursed with a ruthless power she barely understands; it's really just a matter of degrees. As her family life is turned asunder she is thrown into an indifferent Social Services program where she defends herself the only way she knows how. Callis is moved from home to home until she finally settles at the Lowries. As she starts her first day of high school she meets both her favorite and least favorite person. Both happen to be part of the same household. first intro to Johns writing and I loved it! awesome character! 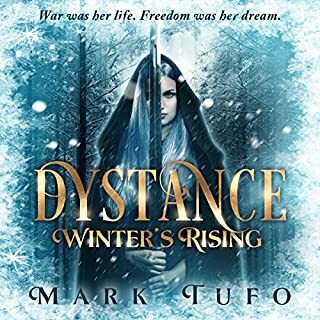 great writing by Tufo as always, I'm never left bored. To be honest I was disappointed with this book, I've listened to almost everyone of his other books, and couldn't put them down. This one I just couldn't get into the swing of, in actual fact I was looking forward to the end, just so I could finish and move onto the next. It just seemed that nothing happened. A real shame but then again I am comparing to all his other series which are outstanding work both written and narrated, maybe because it was co-written this could have something to do with it. But I haven't lost hope too many good pieces of work to get discouraged, anyway looking forward to starting Callis Rose. 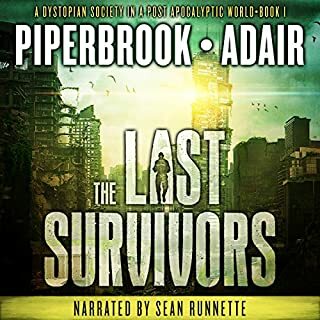 The two best characters from the Zombie Fallout series are combined with a character from the New World series and each bring the problems from their respective worlds. The combination makes for non-stop action. Add in a few laughs and a new foe and you’ve got yourself a fun book. My only complaint is that the book doesn’t really go anywhere. We don’t meet the Whistlers until the very and end the plot is really just Jack, Trip and Mike surviving until they can meet. I’m sure taken as a whole the series will be very good, but as a stand-alone book it leave me wanting a bit. Sean Runnette does an excellent job as always. from mike's prospective, the story opens as he and trip are fleeing from trip's house in a van. mike and trip are on their way to ron's house in maine to head off eliza when mike swerves hard to miss a propane truck. in a flash, they find themselves walking down a desolate, wooded highway, jammed with the world's largest exodus of cars. from jack walker's prospective, he's eating with his team when he notices his periphery close in, and in a flash, he finds himself standing on the same desolate highway mike and trip are on. the story is told from both mike's and jack's perspectives, with each chapter flipping back and forth between the two. both mike and jack notice something is off, and their first experiences are with the other's nightmare. mike and trip discover a new type of threat, the nightrunners from jack's world, and jack runs into a hoard of zombies. the pacing of the story is really good. there's a lot of action with downtime for the characters to reflect on their situation. it's exciting when jack and mike and trip eventually meet up. their meeting is timed well and doesn't seem contrived. they are a good match b/c they are similar in a few ways. trip is definitely a fun and interesting character. he is zany, and his dialogue is funny. at first, i was worried b/c trip is soo out there that i thought his character would be overexposed, and i would tire of his outlandishness. but tufo is a genius in how he uses trip. i truly enjoyed his character in this book. trip shines in this story. i won't spoil anything, but there definitely seems that there's more to trip than meets the eye! there are interesting implications of having both zombies and nightrunners hunting you, especially when zombie 3.0 shows up- 1.0 being shamblers, and 2.0 being runners. together, mike and jack try to unveil where they are, how they got there, and possibly who brought them there. by the end of the story, the mystery deepens as they find bodies fused with the land and a new enemy to deal with, the whistlers. i won't spoil what they are, but they are just as horrific as zombies and nightrunners. 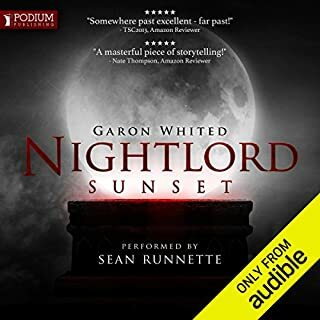 sean runnette as always does a fantastic job narrating the 3 characters. overall, a very entertaining story. 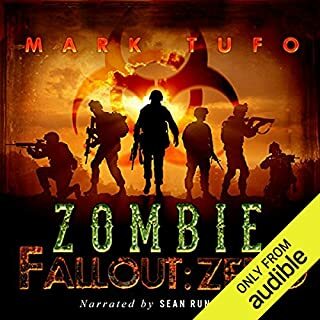 note: i have listened to all of tufo's zombie fallout series, but i haven't listened to mike's other adventures. 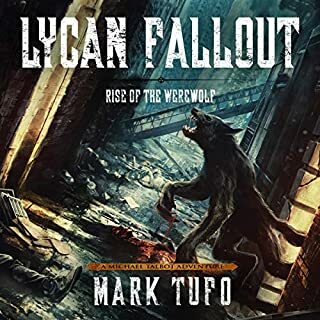 so, i don't think tufo has overstretched mike's character. i have not listened to the jack walker series, but i might give it a try now even though the reviews have been bad. 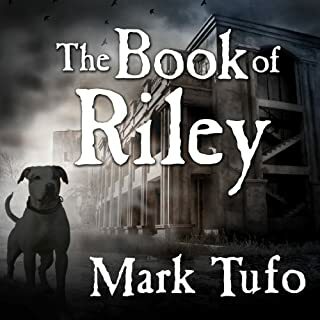 Another great MIke Talbot adventure!! 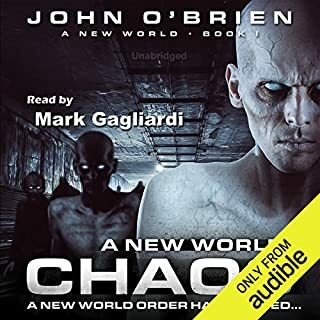 Would you consider the audio edition of A Shrouded World - Whistlers to be better than the print version? Trip as always..he is friggin Nuts and I love him!!! Sean is Mike Talbot, I cant imagine him any other way!!! I really enjoyed this, but found Jack's parts a little drawn out at times...even though he is very similar to Mike...and I cant wait for there next adventure together...i think they are going to be an Awesome team....and I have a sneaky suspicion that they may be related some how....and as Always I love Trip!!!!!!! Great listen!!! 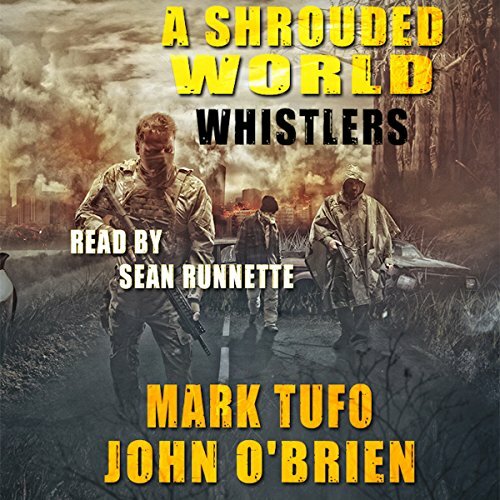 A Shrouded World – Whistlers follows the survival story of Jack Walker and Michael Talbot (with his companion John the Tripper) as they navigate a new zombie apocalypse world, different from each of their own. Trapped in this new world they have to find a way to stay alive as unique types of zombie threaten them. 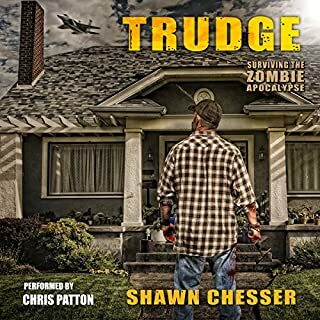 A zombie apocalypse novel, it’s different from what little I have seen before. Most stories that I’ve read or seen involved one type of zombie creature. However, in this novel, there are multiple unique zombie types with different strengths and weaknesses. The plot itself was pretty simple in the sense that the characters are trying to survive different dangers, but they don’t actually move much distance in the world. And so the story is dependent on the characters’ personalities. Fortunately, all three were well defined and unique, which made their interactions fun to experience. Jack and Michael are military men, and John is a perpetually high hippie. John is clearly the comic relief in the novel, but there are hints to his importance that may come to light in future novels. However, the dependence on one or two characters perspectives in a novel involving three human characters, made my interest lag sometimes. While the inner monologues were often good, I think more dialogue could have made it more dynamic. It’s clear that this is a first novel of many. While the book comes to an end, it’s more like coming to an end of a section of to a novel rather than an entire novel. It’s clear that there is more to come and at the end of the novel, the hanging threads are laid out clearly. This novel is told from two different points of view, Michael and Jack. One aspect of the novel, which takes a little getting used to, is that the voices of Jack Walker and Michael are different tenses. It’s unusual and doesn’t necessarily distract, but it’s noticeable. It’s an interesting complement to the confused and isolated emotions that the characters are feeling in a new, but still somewhat familiar world. The narration was nuanced and wonderful. 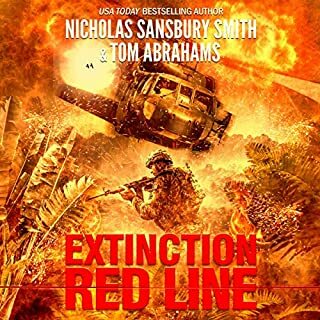 The characters were easily distinguished from one another through the tone of the narrator and that made the novel easy to follow and experience. This was especially great when there are multiple points of view. The voices ascribed to the different characters were also fitting to the individual styles of speech. This isn’t a genre that I normally choose to read and I enjoyed the novel. However, I think it could’ve been improved with more characters. Female perspectives or characters would have made it more diverse and perhaps a little more dynamic. Mike Talbott and Tripp story.... Yeah! Very much enjoyed. Some real guy busters of laughter. Next ones, please?? Pretty, pretty please! I Don't Think We're in Kansas Any More! What did you love best about A Shrouded World - Whistlers? Let's be honest....we'd listen to anything with Sean Runnette reading Mike a Talbot. Anything. But this is good stuff! I love Mike and BT's witty banter, but his sidekick on this adventure is none other than John the Tripper!!! Trip cracks me up! What other book might you compare A Shrouded World - Whistlers to and why? All the other Mike a Talbot novels. He is Mike Talbot. And his reading of Trip is absolutely perfect. 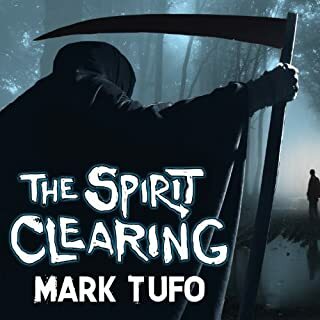 Love anything Mark Tufo wants to share with us featuring Mike and his merry band. 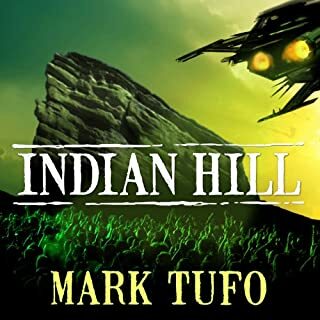 Tufo was great, O'Brien was just ok.
What did you like best about A Shrouded World - Whistlers? What did you like least? Tufo parts were very well done, however O'Brien was alittle one dimensional and the character has no depth. Made it all just a Tufo book. Do you think A Shrouded World - Whistlers needs a follow-up book? Why or why not? Maybe the Tufo Characters can, but killing off O'Briens wouldn't be a bad thing. All in all, it was in total an ok book.